REMINDER! Our 50% off sale on BACK ISSUE magazine ENDS MONDAY! So celebrate the mag’s Eisner nomination by stocking up this weekend. This entry was posted in TNT on 30 April 2016 by Mr. Morrow. IN PREVIEWS NOW: MLJ Companion, Alter Ego #142, Back Issue #91, BrickJournal #41 and more! All our publications are now in the front “Comics & Graphic Novels” section, alphabetically in the “TwoMorrows” section (except for LEGO items, which are under “Lego” in the Magazine section). Below is what we have listed this month. Use the Diamond Order Codes to order at your local comic book shop, or click the links below to pre-order directly from TwoMorrows at 15% off! To see FULL listings of all items, CLICK HERE! The MLJ COMPANION – NEW! ALTER EGO #142 – NEW! 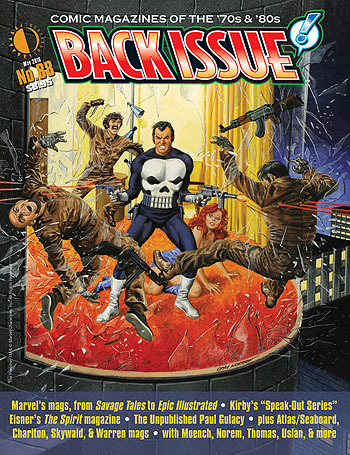 BACK ISSUE #91 – NEW! MONSTER MASH – NEW PRINTING! You can download a PDF file of our current Previews ad (listing all our items in the new Previews catalog) by clicking THIS LINK! This entry was posted in TNT on 27 April 2016 by Mr. Morrow. Hot’cha! Back Issue #90 cover Eighties Ladies when it ships in mid-July, but we’ve got a preview ready for viewing right now! Pre-order and/or see it HERE! This entry was posted in TNT on 26 April 2016 by Mr. Morrow. 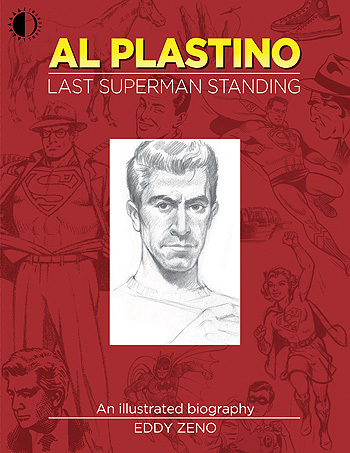 Be the First to read Al Plastino: Last Superman Standing! Shipping TODAY from TwoMorrows! AL PLASTINO: LAST SUPERMAN STANDING, Eddy Zeno’s new biography of the classic Superman artist, details the life and career of the late co-creator of Supergirl, Brainiac, the Legion of Super-Heroes, and the man who illustrated the first story featuring Kryptonite. The print edition in 112 black-&-white pages, and you get a bonus full-color digital edition when you order directly from us! This entry was posted in TNT on 25 April 2016 by Mr. Morrow. BACK ISSUE wins the TwoMorrows Primary in a landslide! 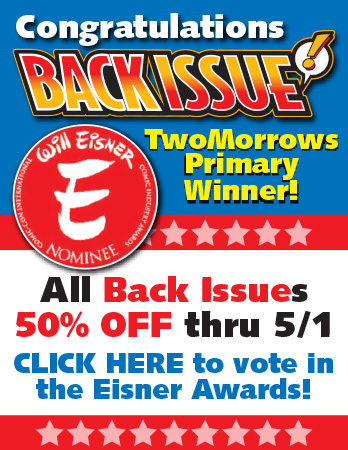 Congratulations to editor Michael Eury and BACK ISSUE magazine, for winning the TwoMorrows Primary Election! This year we garnered THREE Eisner Award nominations in the same category, so we held our own informal poll to see which one fans felt deserved the honor, and BI came out on top with 57% of the vote. So we’re putting all in-stock issues of BACK ISSUE on sale at 50% OFF through May 1. Congrats to all the nominees, and may the best candidate win! This entry was posted in TNT on 22 April 2016 by Mr. Morrow. Help TwoMorrows avoid a Contested Comic-Con—vote now and save! TwoMorrows Publishing is facing a Contested Convention at Comic-Con International this summer, with THREE Eisner Award candidates in the same category! 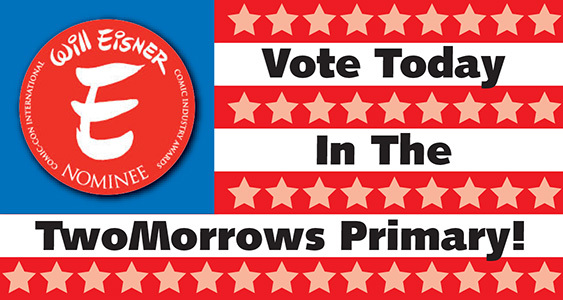 Our super-delegate staff of authors and editors is uncommitted, so help them decide in the first-ever TwoMorrows Primary election, now through THIS FRIDAY, April 22 at 8am! 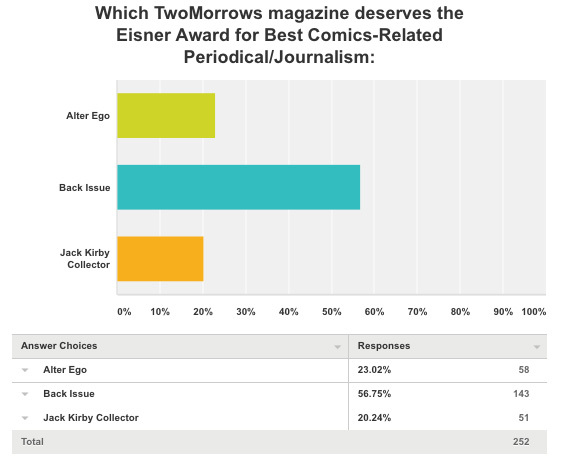 Which of TwoMorrows’ three Eisner nominees should win for “Best Comics-Related Periodical/Journalism”? It’s anonymous (you don’t have to enter any personal information) and you’ll find a Coupon Code good for $3.95 off your next order of $10 or more at www.twomorrows.com (enough for a free digital edition of our mags). Then on April 22 at 9am, we’ll put all in-stock issues of the winning magazine ON SALE at 50% OFF through the end of April! Will one magazine trump the others, and cruise to an easy victory? Do your comic duty and find out—and encourage others to as well! This entry was posted in TNT on 19 April 2016 by Mr. Morrow. 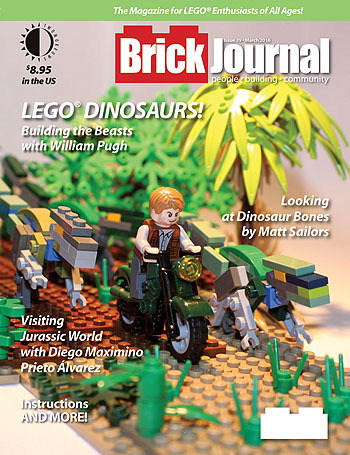 LEGO dinos invade BrickJournal #39! Shipping today is BrickJournal #39, spotlighting LEGO Dinosaurs! This issue goes jurassic as some of the top LEGO builders worldwide show off their skills. And this will be the LAST ISSUE that we sell through Barnes & Noble stores, as we move our single issue sales over to Amazon.com. You can preview the issue, and order your copy at 15% off HERE! NEW! Order your copy from Amazon.com HERE! Or Subscribe HERE so you don’t miss an issue! No matter how you order, it’s all good, clean LEGO fun! This entry was posted in TNT on 12 April 2016 by Mr. Morrow. Learn all the background behind Savage Tales, Epic Illustrated, Warren, and other Comics Mags of the ’70s & ’80s in Back Issue #88, shipping today from TwoMorrows (and in stores next week)! Check out the preview and order HERE! This entry was posted in TNT on 5 April 2016 by Mr. Morrow. See what TwoMorrows has In Previews Now! ALTER EGO #141 – NEW! 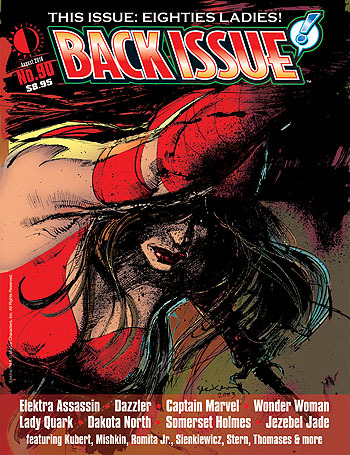 BACK ISSUE #90 – NEW! JACK KIRBY COLLECTOR #68 – NEW! COMIC BOOK CREATOR #13 – NEW! Use the Diamond Order Codes to order at your local comic book shop, or go to www.twomorrows.com to pre-order directly from TwoMorrows at 15% off! In honor of our own UNC Tarheels playing in the Final Four this weekend, we’re leaving our March Modern Masters Madness active through the weekend. 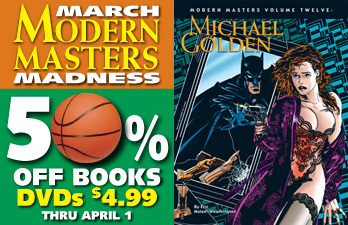 So this is your LAST CHANCE to get 50% off select Modern Masters books (all under $8), and $4.99 DVDs of George Perez and Michael Golden at work! This entry was posted in TNT on 1 April 2016 by Mr. Morrow.